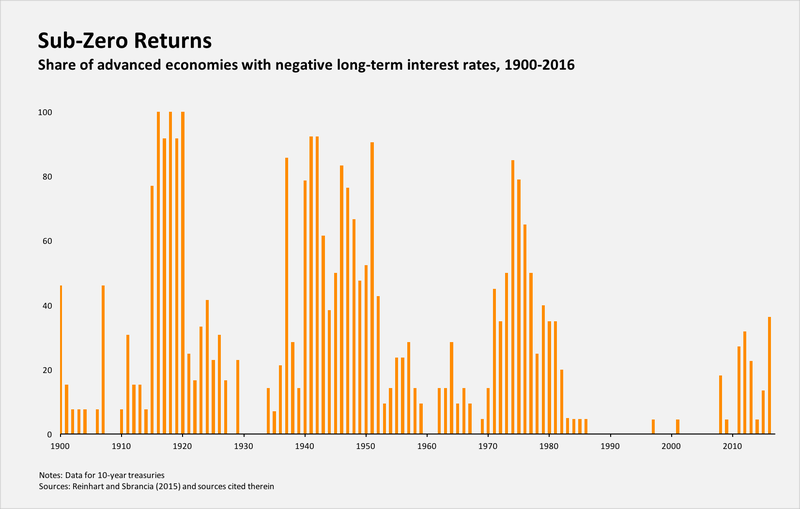 Scooper - Technology News: Negative real interest rates are nothing new, so why the fuss? Negative real interest rates are nothing new, so why the fuss? A day seldom passes without articles appearing in the financial press pondering why interest rates have remained so low for so long. This is one of those articles. So let’s start by clarifying whose and which interest rates are low and what is and isn’t novel or unprecedented. Interest rates (short and long maturities) had been trending lower in most of the advanced economies (to varying degrees) since the 1980s, as inflation also fell sharply. In the years prior to the 2008-2009 financial crisis, former US Federal Reserve Chairman Ben Bernanke repeatedly stressed the role of a global “saving glut” (notably in China) to explain lower rates. More recently, former US Treasury Secretary Lawrence Summers argued that “secular stagnation,” manifested in sustained lower investment and growth in many advanced economies, has been a major force driving down rates. These hypotheses (which are not mutually exclusive) are especially helpful in understanding both why rates were drifting lower prior to the crisis and why the downturn has persisted. The financial crisis ushered in a new source of downward pressure on interest rates, as monetary policy turned emphatically accommodative. The US Federal Reserve led the charge among central banks, acting fast and aggressively in response to the global turmoil, by relying on a near-zero policy rate and massive asset purchases (so-called quantitative easing). In the post-crisis era, the Bank of Japan and the European Central Bank – both under new leadership – followed suit. Negative nominal policy interest rates are a more recent phase of these policies. Since 2010, I have been emphasizing the key role played by policy in keeping rates low in a post-crisis era characterized by large overhangs of public and private debt in the advanced economies and a tendency toward deflation. This combination potentially weakens financial, household, and government balance sheets. In other words, interest rates have been low, and remain low, because policymakers have gone to great lengths to keep them there. The policy mix has combined a “whatever it takes” approach to keeping policy interest rates low (and sometimes negative) with a heavier dose of financial regulation. If central banks were to act credibly to raise interest rates substantially (for whatever reason), they would not lack the tools or ability to do so. In this unlikely scenario, market expectations would adjust accordingly and rates would rise (saving glut and secular stagnation notwithstanding). The behavior of real (inflation-adjusted) interest rates helps clarify the role of the post-crisis monetary-policy shift. As shown in the figure below, which plots the share of advanced economies with negative long-term interest rates (ten-year treasuries yielding less than the rate of inflation) from 1900 to 2016. In the run-up to the crisis, there are no recorded negative real returns on government bonds; since the crisis, the incidence of negative returns increases and has remained high. Of course, the share of countries with negative short-term treasuries (not shown here) is even higher since 2009. But the figure also shows that the 2010-2016 period is not the first episode of widespread negative real returns on bonds. The periods around World War I and World War II are routinely overlooked in discussions that focus on deregulation of capital markets since the 1980s. As in the past, during and after financial crises and wars, central banks increasingly resort to a form of “taxation” that helps liquidate the huge public- and private-debt overhang and eases the burden of servicing that debt. Such policies, known as financial repression, usually involve a strong connection between the government, the central bank, and the financial sector. Today, this means consistent negative real interest rates – equivalent to an opaque tax on bondholders and on savers more generally. So if a prolonged period of low and often negative real interest rates is not unprecedented, where is the novelty? More often than not, negative real rates were accompanied by higher inflation (as during the wars and the 1970s) than what we observe today in the advanced economies. Even when average inflation was modest (as in the 1950s and 1960s), it was still more volatile. In the 1930s, in the midst of economic depression and sharp deflation, US Treasury bills sometimes traded at negative yields (and real returns were still positive). In today’s low-inflation or outright deflationary environment, central banks may need negative policy rates (this is the novelty part) to produce negative real rates. In the eurozone and Japan, taxing banks that hold reserves (negative-interest-rate policy) will also encourage more bank lending, and thus stimulate growth. In an era when public debt write-offs (haircuts) are widely viewed as unacceptable (witness the European Union’s position on Greece) and governments are often reluctant to write off private debts (witness Italy’s reluctance to impose a haircut on holders of banks’ subordinated debt), sustained negative ex post returns are the slow-burn path to reducing debt. Absent a surprise inflation spurt, this will be a long process.